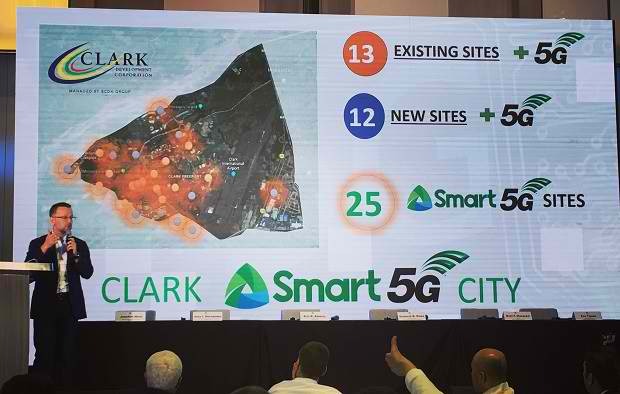 PLDT wireless subsidiary Smart Communications and Clark Development Corp. (CDC) have signed a memorandum of understanding to launch Clark Freeport Zone (CFZ) as the country’s first Smart 5G City. Under the MoU, PLDT and Smart, together with technology partner Ericsson, will fire up the first 5G cell site in the city in November. PLDT and Smart will shoulder the cost of putting up the 5G infrastructure and will finance the project from the P58-billion capital expenditure it has allocated for the upgrading of its network. “We are happy to be working with CDC in building the city of the future, equipped with smart services and powered by 5G infrastructure, right here in Pampanga. 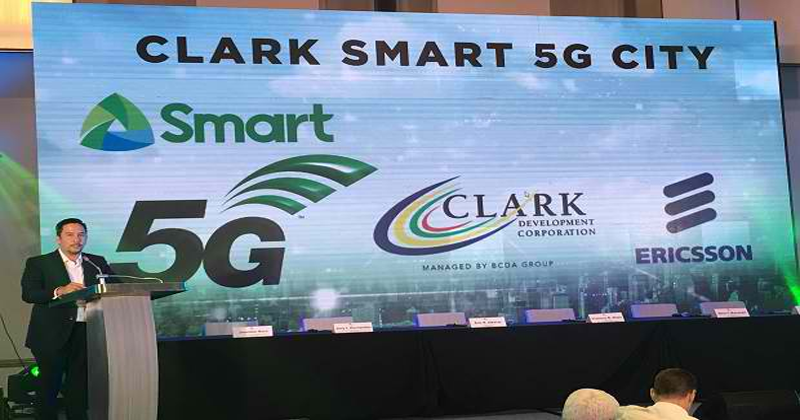 This will benefit not only Clark but the country as well by demonstrating that we are in step with the rest of the world in adopting advanced intelligent technologies,” PLDT and Smart chairman and CEO Manuel V. Pangilinan said in a statement. In line with this program, PLDT and Smart are ramping up the rollout of LTE in key areas in CFZ and equipping all of them with 5G facilities in the coming months. Alongside the MoU signing, Ericsson also showcased possible use cases for 5G in an exhibit that featured Ericsson’s Robotic Arm, Balancing Robot, Connected Mangroves, and Connected Fleet technologies. Armed with both fixed and wireless infrastructure powered by fiber network now at over 221,000 kilometers, PLDT and Smart said they are now in a position to deploy 5G in the country. “As we continue to roll out LTE, LTE-Advanced and carrier aggregation technology nationwide, we are also making sure that these are already future-proof and 5G-capable,” Tamayo added. Smart has been testing 5G since 2016, when it achieved speeds of 2.5 Gigabits per second (Gbps) using 100 MHz with latency of just 1 millisecond over a ‘live’ network — the first in the Philippines.